By Sophie Maxwell . Published on April 21, 2010. Today, we base our desires on our different cultural values and, as these desires are met by luxury brands and turn into tangible reality, what will this mean for their future? If luxury is about the ultimate, how will brands secure their position at the top? If it is about definitive and iconic expression, how can one product please all? And if it is about rarity, how can they protect their difference in a world where counterfeit is rampant and nothing - not even the most distinguished of brand marques - is sacred. Luxury houses are increasingly distinguishing themselves in polar opposition –excess vs discretion. And as brand communication becomes ever more experiential – and in no sector more than this one – this is reflected across all areas of their communication. For the discreet elite - those protecting the purity of their beliefs and ideals -branding is not pronounced, it is implicit. They are recognizable from knowledge of, and familiarity with, a complete aesthetic and behavior rather than hot spots of logo badging. 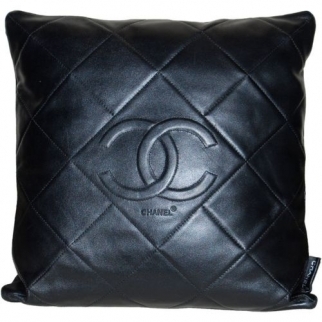 In the words of Chanel "luxury lies not in richness and ornateness but in the absence of vulgarity" and these discerning luxury labels make their products a study in elite lifestyles. This luxury is about investment and timelessness. It is about time itself as it mirrors a reliance on product and service that conform to extreme schedules. It does not cater for show but for pragmatism, practicality, function, comfort and quality for those that can afford it at this level. it is about giving a feeling of reassurance and unquestionable taste. it is about the creation of definitive products whilst being acutely in touch with the sensual side of the materials used and the elegant simplicity of an extreme attention to detail. 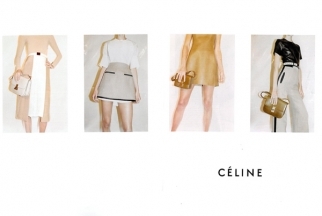 The biggest whisper (this kind of quality naturally doesn't shout) that this approach is a future reality came when french luxury house Celine relaunched last year with a collection of 'contemporary minimalism' (the words of its Creative Director Phoebe Philo) that will be referenced for years. Leather moulded into t-shirts and minimal but inspired detailing on all its leather goods. in an extreme example of refocusing the customer's eye on what is important, all the models of the moment were hired for the ad campaign though their heads were omitted in the final shot. the attention was firmly given to perfect product and delivered the message that not even a supermodel should transcend the importance of the brand and the purity of its purpose. Martin Margiela is another modern icon of minimalist luxury. He may have recently exited his fashion house but the values he built into it - "Never compromise for trends, commercial goals or strategic aims. 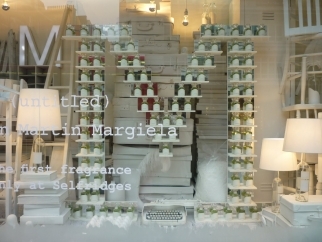 This is who we are and this is what we do" (symbolized by a mantra of no logo being the ultimate logo) - were beautifully brought to life at the recent launch of his scent in Selfridge's window in London. The bottle, a simple logo-less and clean structure in keeping with all his other products, uses a simple Olivetti typeface and is marked only by his signature numerical line codes. Hero'd on an m-structure surrounded by a white world, it is unmarked but unmistakably his and almost makes you forget the rampant commercialism behind scent creation (with a global fragrance market worth $24bn dollars according to Euromonitor in 2008). At the other extreme, we are still witnessing a veritable logo soup of branding. 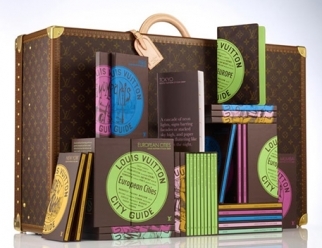 l'm currently anticipating the lunch of luxury megabrand Louis Vuitton's Bond street Megastore on the 28th of May. Designed by New York Architect Peter Marino it will house art by favored collaborators Takashi Murakami (behind the limited editions of last years Louis Vuitton: Art, Fashion and Architecture publication) and Richard Prince. It will also house an invitation-only second floor and follows directly on the hot heels of a collaboration with Kanye West on sneakers. If discreet luxury is about poignant statements and potent capsule collections of goods and services, this kind is about amplification and its growing army of avid fans in emerging markets has quite an appetite. 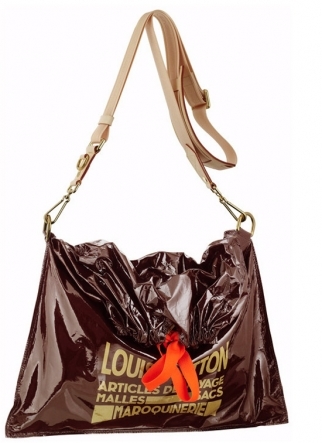 One of the pioneers of luxury branding, LV originally branded its travel pieces to guard against counterfeiting but its logotype has become a megastar moniker of branding, coveted and counterfeited the world over with its move towards the pinnacle of iconic status sealed by its appointment of Marc Jacobs. Who has lent his Midas touch for the past 13 years ago to help build Vuitton into the world's most successful luxury brand. Jacobs truly understands the power and worth of the modern luxury brand. He introduced the designer world to democracy. By charging a premium for his clothes but also creating cheaper items (a $1000 dress vs $5 pair of wellingtons) he increased his accessibility and opened himself to totally new audiences. 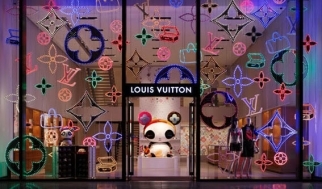 At Vuitton, though he left prices at a premium his influence has draw new generations of customers willing to pay them. He also understood the power of a name and has used the monogram every which way since his appointment (despite an initial hiccup on his first collection which included no bags - the brands biggest generator of revenue). He has treated the brand as a modern rather than historic icon and sealed its status by keeping it irreverent - and therefore relevant. It is now worth $19.4 billion. This kind of branding tsunami has also taken place at Chanel. 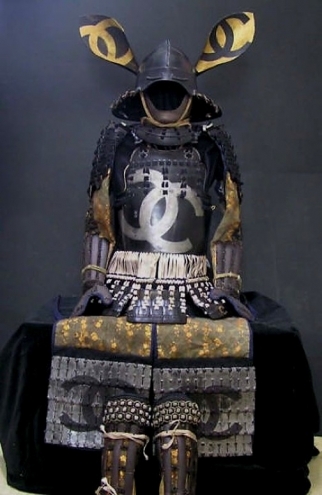 Once the tomboy of fashion brands, Chanel now brands everything imaginable - from bikes to picnic baskets, from surf boards to samurai suits. Even Balenciaga - not historically a badge brand - launched logo'd t-shirts last season and proved itself immune to the down turn that hit most of the Luxury market by recording double digit growth. Despite the rise of discreet consumption, a move away from impulse buying and the fun-free spending that defined the past decade, the Luxury market is still characterized by the vivid imagination of brands determined to be noticed. Luxury conglomerates like the Gucci group are aiming their future investment at expansion in Asia and Latin America and these are already lands that like their labels. As Suzy Menkes, Fashion Editor of the International Herald Tribune, commented "If the 20th century belonged to America, the 21st surely belongs to Asia'. Meaning that, as these power houses and their coveted atieliers shift from the West elsewhere will we see new aesthetics and sensibilities driven by different cultural values. All of which will ultimately influence each other.